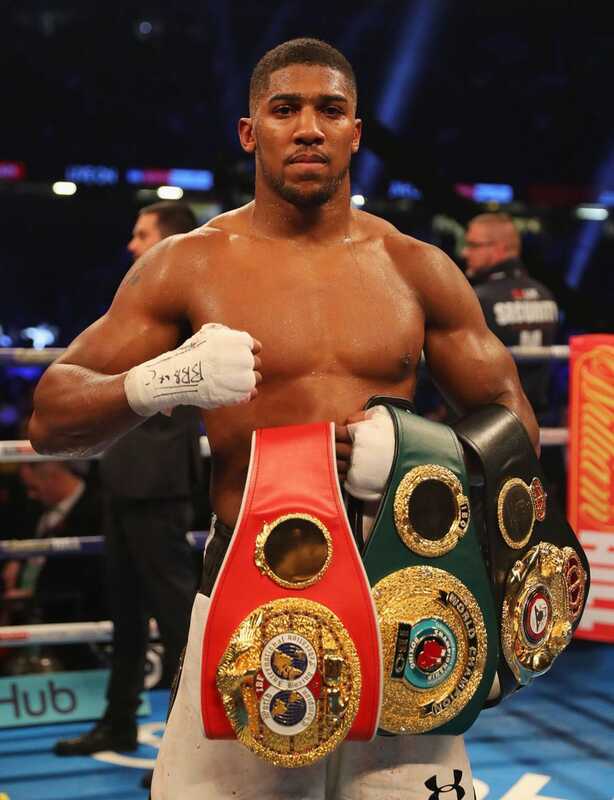 Since first stepping into the boxing ring as an 18-year-old, Anthony Joshua MBE has excelled in a career that has seen him become a unified world heavyweight champion, achieving the IBF , WBA and IBO belts. Anthony first made his name as a boxer when he won a gold medal at the London Olympics in 2012, defeating Italian Roberto Cammarelle in the final. Following his successful amateur career, he turned professional in 2013, making his debut at the O2 Arena in London. In his first professional fight, he came up against Italy’s Emanuele Leo defeating him via a TKO. Anthony has won all 20 of his professional fights by knockout, making him one of the most formidable fighters on the planet. One of his most famous fights to date, happened in 2017 when he took on the legendary Ukrainian fighter Wladimir Klitschko. 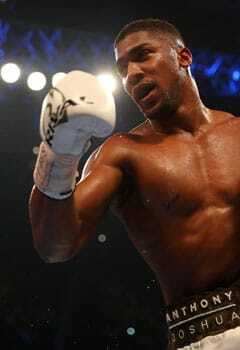 In front of a packed Wembley Stadium, he won the WBA and IBO titles and ended Klitschko’s career. The only title he lacks is the WBO heavyweight belt but will have the chance to win when he comes up against Joseph Parker. Due to his fantastic record, Anthony has never completed the full 12 rounds of a fight, always defeating his opponent earlier, making him one of the greatest boxers of all time. 2007 – Starts boxing for the first time. 2012 – Wins Olympic gold. 2014 – Wins the WBC heavyweight title. 2015 – Wins Commonwealth and British titles. 2016 – Wins IBF title. 2017 – Defeats Wladimir Klitschko to win WBA and IBO titles. 2018 – Will face Joseph Parker to fight for the WBO title. 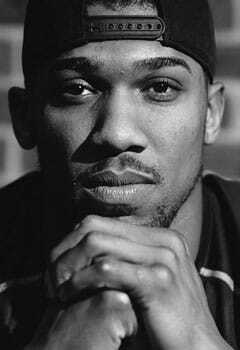 Anthony Joshua MBE's rise to the top of professional boxing has not been without its difficulty including getting into trouble with the police, Anthony’s journey into boxing happened later than is typical for a professional fighter. In 2007, aged 18, he joined a local boxing club with his cousin and discovered he had the potential to make boxing his career. By 2011 he had been named ‘Amateur Boxer of the Year’ making a name for himself at the World Amateur Boxing Championships in Azerbaijan. Defeating the world and Olympic champion, Roberto Cammarelle, at the competition, this was not the first time the two fighters would meet. A year later, at the Olympics in London, the pair would come up against each other again in the heavyweight final, with Anthony once again defeating Cammarelle and this time winning gold and taking the Olympic title. Following his Olympic win professional promoters everywhere were trying to sign Anthony, and in 2013, he signed a contract with Matchroom Sport to turn professional. Since then he has defeated every fighter who has entered the ring with him, starting with Emanuele Leo. His first belt came in 2014 when he defeated Russian fighter Denis Bakhtov winning by knockout in just the second round to claim the WBC heavyweight belt. 2015 saw him add the Commonwealth and British title to his name before facing American, Charles Martin, in 2016. The pair competed for the IBF heavyweight title and once again Anthony was triumphant, adding yet another knockout win to his growing list of victories. Perhaps his biggest fight so far was when he came up against the legendary fighter, Wladimir Klitschko, in 2017. Many people expected that this would be the fight where Anthony would finally lose, but again he showed his class, winning the WBA and IBO belts. With just one major belt left to add to his collection, Anthony will take on Joseph Parker at the Principality Stadium in Cardiff in what is sure to be an incredible fight. As one of the most high-profile sportspeople in the world, Anthony Joshua MBE regularly works alongside huge brands. His list of sponsors includes Bulk Powders , JD , Under Armour , Beats , Lucozade Sport , Stubhub , Dafabet , Jaguar Land Rover , Lynx , Audemars Piguet , BXR and Sky Sports Box Office . As well as this he has also launched his own clothing brand which produces a wide range of t-shirts and caps. He also has millions of followers across his social media platforms meaning that any brand he works with is sure to receive a significant boost through being partnered with Anthony.